Let's go back to even the Ford Pinto days. Until families got tired of their loved ones being burned to death and trial lawyers brought to light "the memo" where Ford calculated the profit vs. cost of adding safety features, Ford made millions of dollars on a dangerous product. Big corporations simply do not care about our lives. They believe that the value a jury will put on our lives is a lot lower than the profits they can make - so they take chances. These manufacturers use the general public as guinea pigs and deal with the consequences when the safety hazards come to light. Isn't it our choice what to put in our body? Medical device manufacturers believe that we don't need to know all the risks associated with a product. We only get to know what the medical device manufacturers tell us about the products our doctor believes we need. In fact, the doctors are only told certain information. Then, when someone is injured or killed because of a failed product, the medical device manufacturers say that no device is perfect. There will be failures. Fine - but don't I as the owner of my body get to decide what risks I want to take versus not take? I believe so. Product liability cases, such as medical device cases, have many different aspects. One is the targets is failing to warn of risks known to the manufacturer. This means failing to warn the doctor so that we as a patient can be fully informed when we give our consent for a procedure. Typically, warnings take place on the label, with brochures by the sales representatives, on an IFU (information for use handout), or at the training sessions on the device. Medical device manufacturers have a lot of chances to warn us. Then, what they will do is put a small warning in a stack of thousands of documents and say you were warned. Is that an adequate warning? I don't think so. Neither to juries as the article below discusses when Mark Lanier received the $247 million dollar verdict for victims of defective hips. Mark Lanier is a fantastic trial lawyer that I routinely follow. He has been an idol of mine for years, even before I became a lawyer. Recently, in Dallas, Texas, Mark Lanier won a $247 million dollar verdict for victims of hip implants that went bad. He successfully argued that the warnings were inadequate. The jury agreed. This verdict follows a $1 billion dollar verdict and a $500 million dollar verdict last year. Instead of owning up to their mistakes and giving proper warnings from here on our for their hip devices, the hip manufacturer is paying more and more money to fight the message our community is sending them. Here at The Button Law Firm, we handle all complex product liability cases. Specifically, medical devices that hurt people or drugs that kill. We are focused on taking on these billion dollar companies and not backing down. 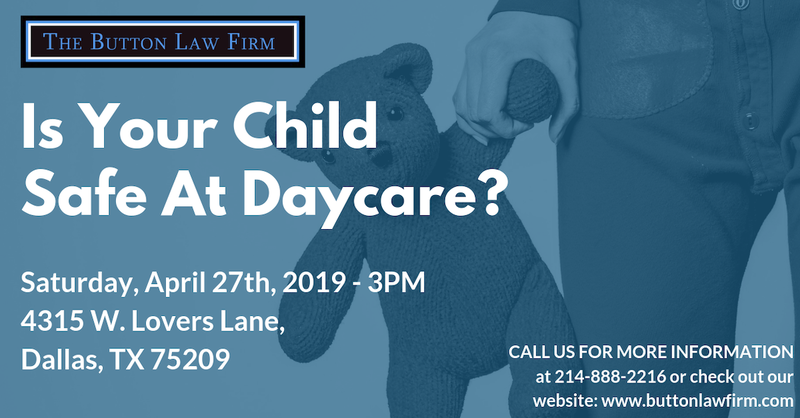 If you or a loved one has been injured by a defective product, dangerous drug or bad medical device, give us a call at our Dallas office 214-888-2216 or email me at [email protected] We are here for you and your family.